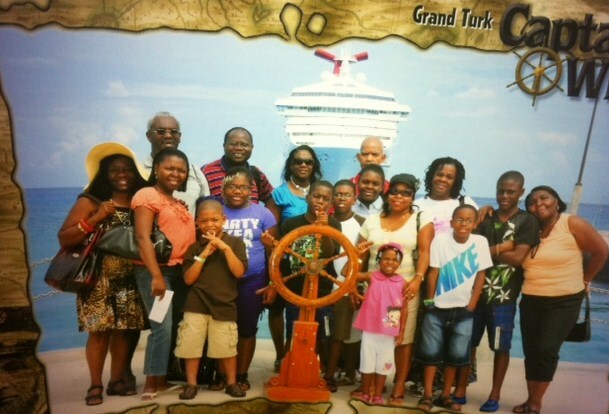 Group Cruise Vacation Is Fun For All! You should try a group cruise vacation. My family did and loved it! My wife's best friend organized a family reunion at sea July 2010 and we joined them. It made a big difference to eat with, tour with and hang out with people with whom we had so much in common. Of course this is not to take away from meeting new people and making new friends on your Caribbean cruise - when you cruise alone. However, if you have not done so yet, you will discover that a group cruise vacation is fun for all. 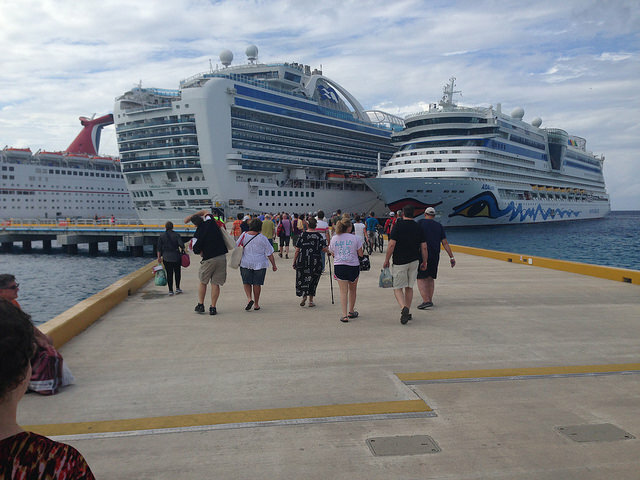 What Constitutes A Group Cruise? For your party to be considered a group, most Caribbean cruise lines require you to book eight (8) staterooms each with at least two guests. The requirements vary by cruise line. You will find some cruise lines allowing five booked cabins to sail as a group, while others require eight. Your travel agent is the best person to update you on this. There are many reasons for booking a group cruise getaway and some perks that come with being a part of a group cruise effort. Your group will get a group rate for the cruise leg of your trip and this rate is usually less than others. Your deposit is generally smaller than the regular amount and you have more time in which to make it. Members of your party will also get discounts on shore excursions when you book as a group rate (varies by cruise line). As members of a group, your party will be seated together in the main dining rooms, and your staterooms will be located in close proximity to each other, unless some members prefer and select other accommodations. Groups are able to reserve meeting rooms, video-conferencing equipment, as well as advanced plans for a party of any kind. Your group is generally assigned a group coordinator onboard the ship to help with special needs (varies by ship). Some cruise lines may throw in complimentary champagne, chocolates, or an onboard cocktail party for your group. Additionally, your travel agent may be able to get you onboard credit bonuses or other goodies. Some cruise lines will offer the group leader a big fat credit towards his/her fare, whenever certain criteria are met. Generally, this means booking the number of cabins that each cruise line considers to be a group. Get with your Travel Consultant for more information on this. 1. 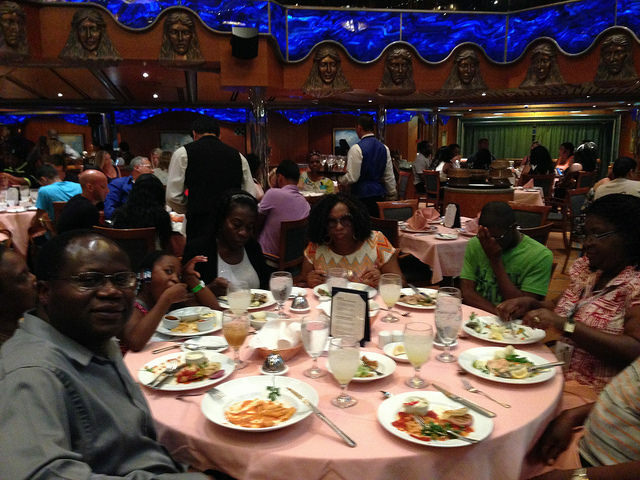 Plan a family or school reunion cruise. 2. Try a church group or Christian Caribbean cruise. 3. Set up your own couples' cruise or singles Caribbean cruise. 4. Organize a sports club cruise - golf club, country club, football club, etc. 5. Plan a professional organization cruise - business leaders' cruise, men's professional association cruise, etc. 6. What about a community or non-profit group cruise? You may have heard of radio stations, or a local retailer organizing a group cruise vacation. 7. You may even organize a seasonal group cruise getaway like a Christmas cruise vacation. 8. Call up your friends and plan a group cruise vacation to the Caribbean. A holiday Caribbean cruise is also a great idea! 9. Or, like some people, you may also consider taking a celebrity cruise. 1. After agreeing that your group will cruise to the Caribbean (or elsewhere), identify at least 16 people (remember that you must have cruise guests for 8 staterooms) who will take the trip. If you have a fraction of the total number and believe that you can get the others, start planning immediately. 2. 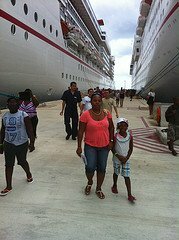 Choose a Caribbean cruise destination and, the cruise line you intend to use. Alternatively, your travel agent can help you decide on the right cruise line and destination. 3. Contact a travel agent or the Group Reservation Desk of your desired cruise line (see contact information below). Your travel agent or the cruise line's group cruise planner assigned to your party, will work to get you the best price and perks for your group cruise vacation. In some cases, you will receive your own webpage where you can direct each member of your group to make payments and receive vital cruise information and updates. 3. Or, you may click here to submit a group cruise request to Carnival Cruise Lines. 2. You may call Celebrity Cruises at 1-888-727-4907 to organize your trip. 2. Call Disney Cruises directly at (800) 951-3532. Note: Disney does not have a broad group cruise program as other cruise lines, but there is a way to book a group cruise vacation with them and earn some credit. 2. Call Holland America directly at 1-877-932-4259. 3. Call Norwegian directly at 855-625-4768. 2. Call Princess Cruises directly at 1-800-PRINCESS (1-800-774-6237). 3. Call Royal Caribbean directly at (800) 327-2055. 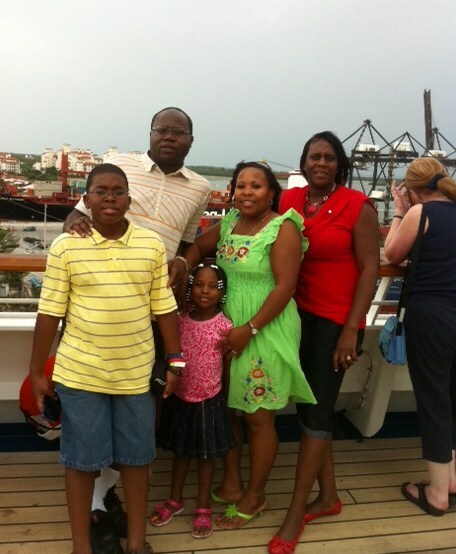 We at All-Inclusive-Caribbean-Cruises would be honored to help you plan your group cruise vacation. If you need help, fill out the form below and we will get back to you. Please insert all pertinent information: number in party, preferred cruise destination and cruise line, type of group, and where your group is traveling from. We can help you find flight and transfer packages to the Caribbean cruise terminal. We can help you with pre- and post-cruise hotel, as well as with travel protection. Are you interested in an already organized group cruise? Travel Consultants have planned several group cruise getaways, and you may book your inclusive Caribbean cruise with them. If you are interested in one such group sailing, contact me for additional information: 678-772-7077 or email me at Peter@PetesTravel.com. Now you have most of the information you need to get started. Your travel agent or associate will assist you with what you do not know. Go ahead and plan that guaranteed, fun-filled group cruise vacation.